Set against the backdrop of the American Revolution, Nine Miles North tells the story of Patriot soldier and spy Ethan Shaye, who carries out a series of daring missions, slipping behind enemy lines to secure vital information for the Continental Army. His courage and resourcefulness have earned him the trust and respect of General Washington himself, who entrusts Ethan with a crucial mission, one that may well turn the tide of the entire war. But Ethan's boldness and fierce allegiance to his cause are rivaled by another passion -- his love for the daughter of a Loyalist. 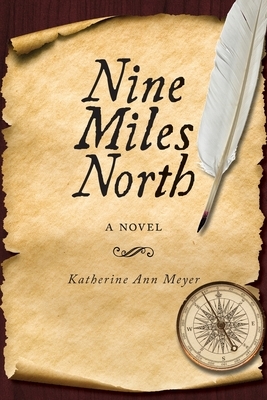 In a captivating tale of adventure, danger, and romance, Nine Miles North relates a compelling historical fiction narrative, rich with emotional depth and conveyed in a literary style that is authentically reflective of the period it portrays.